This guest post comes from SBAI student worker and UCGWS President Erika Howard. As part of WXXI’s Community Cinema’s African American Education Awareness Film Series, they are screening Daisy Bates: First Lady of Little Rock. 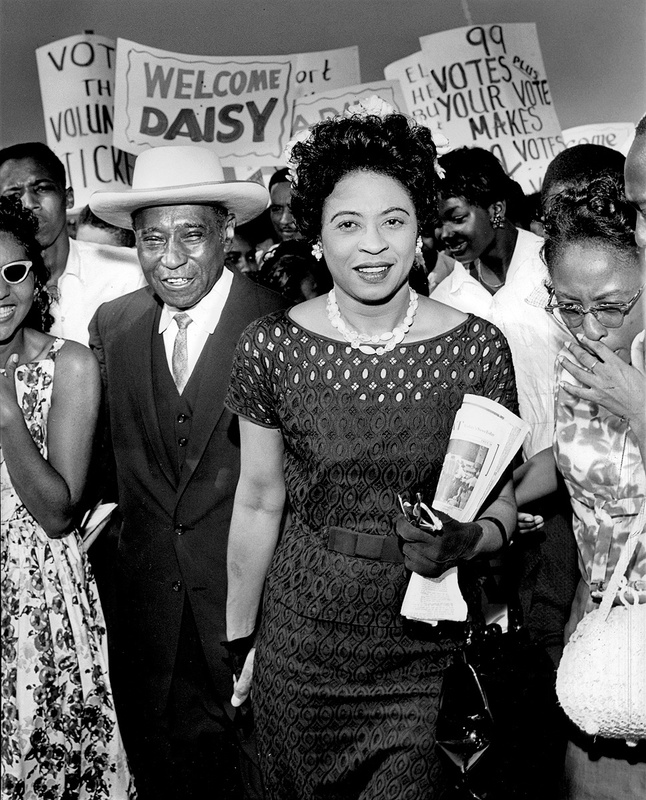 The film tells the story of Daisy Bates, an American civil rights activist, publisher, and writer who was integral during the Little Rock integration crisis. Bates and her husband published a local black newspaper which publicized violations of the Supreme Court’s desegregation ruling. Bates also helped guide the nine students through their attempts to enroll at Little Rock Central High School, which was previously an all-white school. During her lifetime of advocacy, she was arrested once, wrote a memoir that won a 1988 National Book Award, worked for the Democratic National Committee, and even served in the LBJ administration, working on anti-poverty programs. Even after suffering a stroke, which forced her to return home to Little Rock, she continued working—she established a self-help program which was responsible for new sewer systems, paved streets, a water system, and a community center. She was truly a remarkable woman, and the documentary is bound to be fascinating. Join WXXI for this screening, which is free and open to the public. It will be held at WXXI’s studios (280 State Street), and will be followed by a group discussion led by Marsha Jones, President and CEO of 4-1-1 Communications. The film looks amazing, and is definitely worth going to see. This entry was posted in Community and tagged #Black History Month, #wxxi. Bookmark the permalink.